Note: This post contains affiliate links for products and services I’ve used. Have you thought about creating your own online course? It’s easier than it sounds. To bring our courses to fruition, we looked at using platforms like Udemy or Teachable. Using these platforms would have resulted in making some sacrifices, so they weren’t right for us. Rather, we elected to build our own website and use it as a platform to launch online courses. It was easy! Really! If you’re ready to create an online course on your own domain, rather than using a service like Udemy or Teachable, we’ll take you through the series of steps that we used to create our website, create our first SEO course, and launch from our own platform. We outline all of the components we use and recommend for building a website. For many of the components we use and recommend, there are affiliate links; we receive a commission if you decide to use the same products we use. Scroll to the bottom if you simply want a list of tools we used to create our online courses. Step 1: We made a decision to teach others SEO and how to use SEO to start a side hustle. With a decade of experience in SEO and several years as freelancers ourselves, we know what it takes to learn and consult in SEO. Demand for our SEO services has far outweighed the number of hours we have in a day, so we decided our goal for 2016 was to begin teaching others SEO skills that any motivated individual can use to start a side hustle. Maybe you’ve made the decision to launch a side business or a side hustle this year. Maybe you want to launch an online course as your side business. Regardless, the first step is critical: make a decision and write down your goals. Step 2: We established our brand and purchased a domain name. First, we decided on our domain name, SEOAuditGuide.com, since we didn’t already own a domain we wanted to use to launch our online courses. We purchased our domain name from a popular domain name provider. However, we now purchase domain names from 1&1 .com Domain Name Registration , which offers affordable domain names. We found that 1&1 .com Domain Name Registration makes purchasing domain names a little easier and the pricing is very competitive, so we’ve been purchasing our domain names from here since. Depending on the niche you’re trying to reach and the domain you wish to purchase, you may be trying to purchase a domain that’s been used before. Or you might find a domain that’s never been used before. Because a domain’s backlink profile is critical, we investigated the history of our domain. Majestic.com offers tools you can use to explore the backlink profile for the domain names you are interested in. Knowing that we would market our course via social media, we secured corresponding social media accounts for Facebook, Twitter, Pinterest, and Google+. To keep all of our business correspondence separate from personal, we also created a Google Account to be able to use Gmail and other Google products. Social media accounts and Gmail are free and easy to set up. Our domain and social media accounts remained “parked” while we built the website and created the first online course. Step 3: We started the business formation process. While we were researching domain names and parking social media accounts, we also met with an accountant to discuss business formation and obtain advice on tax planning and bookkeeping. We hadn’t established a business before, so this meeting was critically important to ensure our business systems were set up properly prior to opening our doors. After meeting with a local accountant, we decided to form an LLC. We coach side hustlers and side business owners, so what more appropriate business name than Side Hustle, LLC! Our accountant also provided some very valuable advice and tips for setting up QuickBooks, the bookkeeping system we use to help us manage expenses and income, issues invoices, and much more. About two weeks after we registered our LLC online, we received our official documents informing us that Side Hustle, LLC was approved! To register our business with the federal government for the purposes of taxation, we applied for our Employer Identification Number. Again, this was a simple, online process to complete and we received the EIN the same day. Step 4: We purchased a hosting plan for our website. Once we formed our business, we sought out hosting for our new website. Because we have more than one WordPress website, we decided to move to managed WordPress hosting with Bluehost. The best part about Bluehost’s website hosting plan is that we can have multiple domains with one account. Bluehost provided all of the instructions we needed to point our newest domain name, SEOAuditGuide.com, to Bluehost. After we pointed our domain to Bluehost’s servers, which Bluehost provides all the instructions for, we installed WordPress via Bluehost’s one-click installation. Bluehost’s excellent service team was there in a moment’s notice to double-check our work. Additionally, they provided some additional instructions on creating the additional database we needed to add to our account, which is essentially the portion of the web server with all of the files for this new domain will live. We followed their instructions and everything was set up perfectly within a few minutes. Once the database was established and hosting setup, the website was live! Since we were in the midst of development, we set the website to “noindex” so that it couldn’t be indexed by search engines while we built it. WordPress makes it easy to make a website unavailable to search engines until it is ready to launch. After two years with Bluehost, we found a more affordable hosting company. Bluehost is easy to set up, which is great for new website owners. However, we have found that Green Geeks is both affordable and provides amazing customer service. Everything that I was doing with Bluehost I am able to accomplish with Green Geeks. Additionally, the support team for Green Geeks is more “hands on.” For example, I needed to purchase a new SSL certificate, which the Green Geeks support team was able to facilitate for me in less than a day–they even handled installation. I highly recommend Green Geeks! Step 5: We started building the public-facing portion of the website. Our new website offers online, self-paced courses available for purchase with a credit card. This bulleted list gives you an overview of the components that make up the public-facing portion of the website you see today. Below, we outline all of the components we use and recommend for building a website and online courses. For many of the components we use and recommend, there are affiliate links; we receive a commission if you decide to use the same products we use. For the design of the website, we started with the Genesis framework from StudioPress. On a typical WordPress website in the past, we would add some WordPress theme that looked pretty. However, when we wanted to change the theme, we ran into problems. 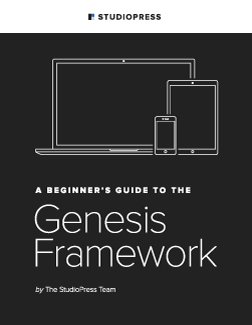 Now that we use Genesis framework on all of my websites, we don’t have to worry about changing up the design. Genesis serves as the base for our website design. This framework is more stable when it is time to redesign versus trying to change themes. We have had experiences in the past with a website that did not use Genesis and trying to change themes was nearly impossible. With Genesis, we can change up the design without a web developer. Genesis itself isn’t the design of the external website. What you see is the DigitalPress website skin from Dynamik. Dynamik skins were designed to exist on the Genesis framework–they work hand in hand. Dynamik Website Builder and the corresponding skins are affordable and provide several options for website design that we easily customized for our needs. For the contact form, we used the free Contact Form 7 WordPress plugin to embed an email form on some webpages. Coupled with Contact Form 7, we use the free Contact Form DB plugin, which is an email database that stores requests that come in via the embedded email form. For social media buttons, we use the free Simple Social Icons WordPress plugin. For social share buttons, we use the free Shareaholic WordPress plugin. To make our website more search engine friendly, we use the free Yoast SEO WordPress plugin. Yoast SEO is a fantastic tool to edit page titles, meta descriptions and much more to improve SEO. If someone inadvertently enters a URL incorrectly for our domain, we use a custom error page. For the error page, we use the free Custom 404 Pro WordPress plugin in an effort to help retain users on the website if they inadvertently reach the error page. For the pricing table that appears on various pages, we use Easy Pricing Tables Premium, which uses a shortcode to embed a pricing table on any page or post. For the SSL certificate, we use the free Really Simple SSL plugin, which helps WordPress handle the SSL certificate required to process credit card transactions. There is a fee for the SSL certificate; we purchased the SSL certificate from Bluehost. To place the Google Analytics code on our website, we used the free Insert Headers and Footers plugin. Next, we installed the free Genesis Simple Edits plugin, which is recommended by Genesis developers to edit things like the footer. Step 6: We started building the online courses. To create and organize course content, we use the WP Courseware plugin, which is perfect for our needs. It is easy to use, so it was quick to create the modules, units, and quizzes necessary to bring each course to life. WP Courseware covers everything you need to create online courses on your own website. WP Courseware is the online course creation platform (a.k.a. learning management system) we used to input the videos and instructions for each course. WP Courseware gives you the ability to add as many training courses as you want. In using WP Courseware, we found that the best and easiest way to quickly create online courses is to start with an outline of the course you wish to create. To outline your course material, keep the following high-level structure of WP Courseware in mind. Each training course in WP Courseware is composed of one module or multiple modules, depending on what your course outline dictates. Each WP Courseware module contains one unit or multiple units, depending on what your course outline dictates. Each WP Courseware unit can include quizzes, if you want. Our courses include videos, written instructions, and include links to additional course material. Creating the course modules, units, and quizzes on the back end is easy. If you’ve created a blog post in WordPress, you can create course units. Before setting up our website, we had been working on the course content for weeks, drafting written instructions, video scripts, and supporting resources. We waited until all of the course content was done, including all of the videos and written material, before we started creating modules and units. This allowed us the ability to build out the entire course experience in a few hours. For our video files, we elected to use Vimeo for video hosting. We looked at all of the options available and found that Vimeo provides functions that we require to deliver course content in the way in which we’ve elected to make it available behind a paywall. It was necessary that our videos be completely private and accessible only via our domain to ensure access was strictly limited to those who purchased the course. Step 7: We connected the public-facing website with the back-end learning management system. Now that we had our public-facing website complete and our first online course created, we needed to connect the front end and the back end so that when students input their credit card information, they are immediately taken to the first module of the online course. In order to grant access to the online courses, we use Paid Memberships Pro, which is a membership management tool that manages users and their level of access to the online courses. Paid Memberships Pro WP Courseware Add-on is necessary to connect the front end with the back end. It’s free! Step 8: We backed up our website and protected it from hackers. UpdraftPlus is a free WordPress plugin that backs up our website. UpdraftPlus backs up our website weekly, saving just the last two backups in the event we need to restore the website. Thus far, we haven’t encountered any conflicts with our plugins, but the potential is that we could require restoration from backup given that new plugin developers are always releasing new versions as the WordPress core is updated. UpdraftPlus provides peace of mind. We’ve also added Wordfence Security, a free WordPress plugin that helps prevent hacking. On this note, we now work with a web developer on an as-needed basis. No website is online 100% of the time, so having a web developer provides peace of mind in the event that we require assistance. Step 9: We set up our domain alias for email to begin email marketing. In trying to bootstrap this startup, we elected to be lean where we could. Rather than pay for email hosting for our domain, we elected to use Gmail via an alias for our domain so that it appears as if though we’re sending email via the domain name rather than Gmail. Enter Zoho. Zoho is a CRM platform, but it also provides free business email for up to 50 users. Simply configure cPanel to point the necessary records and you’re able to send emails from Gmail using an alias. Here are complete instructions for using Zoho to create an email alias. Zoho can also be set to forward email to your Gmail account without saving it on the Zoho server, making the experience seamless. Now that we had a domain email address, we created an email marketing campaign. Originally, we had been using MailChimp to collect email addresses for email blasts. 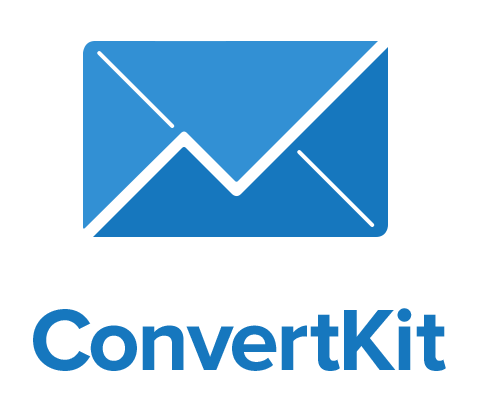 However, we wanted some additional features for email marketing and have since moved to ConvertKit for email marketing. Within a couple of hours of setting up our free trial, we had a sequence constructed and a landing page (both created in ConvertKit). Step 10: We set up online payments and bookkeeping. In order to accept credit card payments, we had to purchase an SSL certificate and a dedicated IP address, both of which we secured from our hosting company, Bluehost. There is a monthly fee for the dedicated IP address and an annual fee for the SSL certificate. Once our website was secured, we considered all of the payment gateway options available and settled on Stripe. There are a few reasons we decided that Stripe would be the right payment gateway for us. First, Stripe’s fees are some of the lowest out there. Second, Stripe serves as the gateway and the merchant account, which are both required to process credit card payments. Third, if have to refund a purchase, Stripe returns the fees. Fourth, connecting the payment gateway with the membership management plugin (Paid Memberships Pro) was seamless and easy to configure. After running test transactions in Stripe’s sandbox mode, we were able to push the course live. With transactions flowing, there was the question of bookkeeping. Our business has its own checking account and that checking account is connected to Stripe. We have monthly and annual expenses to keep track of for tax and accounting purposes. Thus, we required some kind of bookkeeping tool. As mentioned above, we looked at nearly every online bookkeeping option available. QuickBooks Online connects with Stripe (via Penny Pipe) and our business checking account; having Penny Pipe connected to QuickBooks means we don’t have to manually export transaction data (NOT credit card numbers) from Stripe and import into QuickBooks. We train individuals who want to become freelancers in SEO or those who want to start their own side businesses. Anyone with a computer, Internet access, and a desire to increase their earning potential could learn SEO and start a side hustle in a week. Step 12: We invested in Facebook Ads! Contact Monica Louie for help with your Facebook Ads. Monica provides training and coaching to help you drive traffic to your website and online course. Step 13: We invested in Tailwind for Pinterest! Tailwind has been fantastic for growing website traffic quickly. Here is a list of the core plugins and services we used to create, launch, and market our first online course using WordPress. Just a reminder that there are affiliate links, so if you use the same products, we’ll receive a referral fee. Thank you!